Gun shyness in dogs is a top concern among hunters. In most instances, the problem is directly related to introducing gunfire in the wrong way. Hunters should take a progressive approach when conditioning their dogs to loud noises. Wait until your dog is 8 months of age or older. 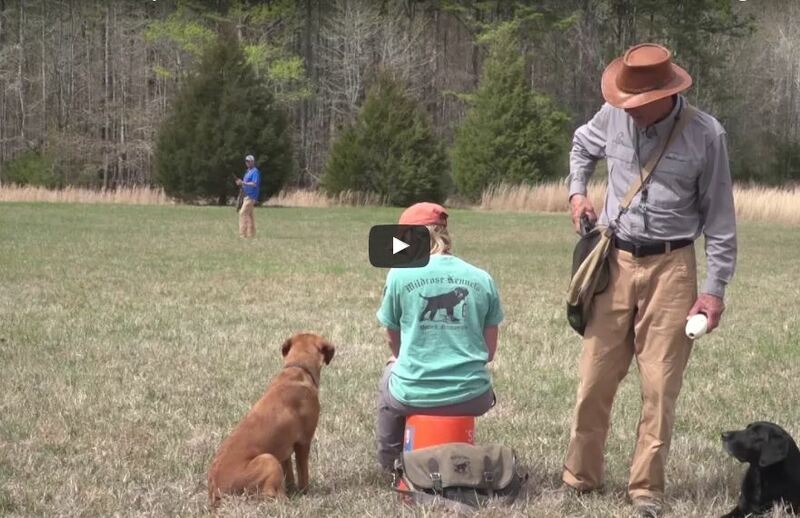 Your dog should be mature, confident, marking well, and fired up about retrieving. To begin, start with a .22 blank, popper, or a #209 primer. Place the popper in your training bag, and pull the trigger as you throw a bumper. Your dog will be more interested in the bumper than the pop, and will become easily conditioned to the sound. Over time, move closer to your dog during this exercise. When you are confident that your dog is comfortable with the sound of the pop, move on to retrieving drills with a .410 shotgun. This type of gunfire is ideal, because it is not too loud for these initial encounters. Enlist the help of a friend, and have him or her stand at a distance from you and your dog. This person will toss a bumper in the air, and then fire the gun. Again, your dog should be more interested in the flying bumper than the sound of the gun, and conditioning should be easy at this point. Enthusiasm and positive praise from you or the handler is also important. When introducing your dog to gunfire, be progressive in your approach and make haste slowly. Being conservative throughout this process is far better than delaying your training – and possibly your hunt – while you overcome gun-shyness.